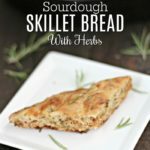 Quick, simple, and delicious sourdough skillet bread is the perfect last second recipe to whip up for dinner for your family or to nourish a crowd. Also, use up that extra sourdough starter you may have instead of tossing it. I needed something to make for our church small group that we host weekly at our house, and I’m always lost for ideas. Plus, I have to get the house ready, so it can’t take a long time to make. What can you make that isn’t super expensive and feeds a crowd? Bread, that’s what. This was one of those recipes I made once and it actually turned out awesome the first time. When does that ever happen? For me… rarely ever. But don’t worry, I wanted to make sure it was perfect for y’all, so I made it to perfect it. And by perfect, I mean when I was making it the second time, I found a bug in it after letting it ferment. I’m not afraid of bugs yo, but not in my food please. Could. Not. Handle. It. So, I did what any sane person would do. Picked it off the top, video chatted Libby to see what she would do, and decided that since he (obviously, it’s a he…troublemaking bug) was just barely on the top and wasn’t actually in the dough and was probably only there for 30 seconds, it was probably safe to eat.I looked for more bugs because I’m slightly crazy, then baked the bread and served it to my family. It was delicious. And maybe had a little extra protein in it if there were any more little guys hanging out. Gross? Was that too much? Real life, folks. Real life. 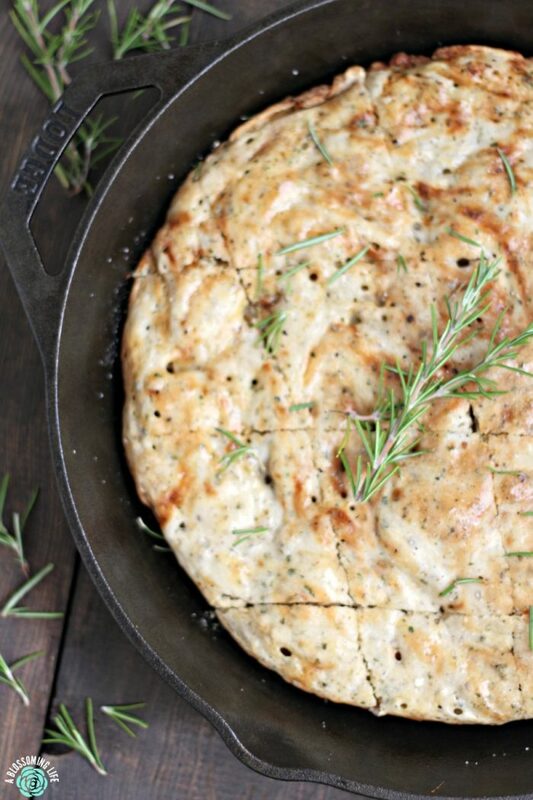 There are two ways to make this sourdough skillet bread. The short way or the “long” way. My stomach doesn’t tolerate regular bread well. Regular bread gives me stomach aches, but sourdough doesn’t. It’s probably due to the long fermentation and the bacteria breaking down some of the proteins in the flour. So, if you don’t have this problem with bread and flour, you can surely do the quick version of this bread. Whip it up and enjoy in like twenty minutes from start to finish. If you can’t tolerate regular bread, but sourdough is fine (or you want to test it out), I would recommend doing the long version of this recipe to let the dough ferment. Or, if you don’t have a lot of time in the afternoon (even though this recipe takes 5 seconds to make), you can start this bad boy early on and just add the rest of the ingredients and cook in the evening. Anything to make life easier. This bread is so delicious and takes out the hours of work a traditional sourdough takes. 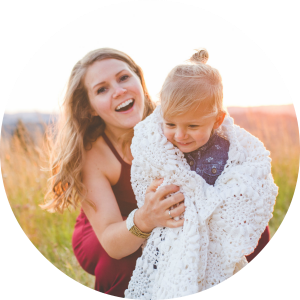 Your family will be happy. And you should serve it with loads of butter, because is bread enjoyed any other way? 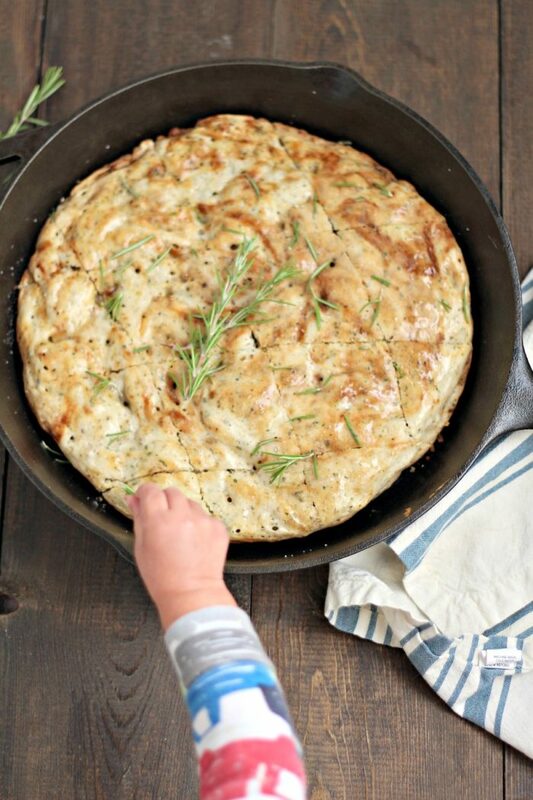 Quick, simple, and delicious sourdough skillet bread is the perfect last second recipe to whip up for dinner for your family or to nourish a crowd. 3/4 cup water possibly a few tbs extra so the dough is more spreadable. Think thick pancake batter. Over medium heat, heat a medium to large cast iron skillet. 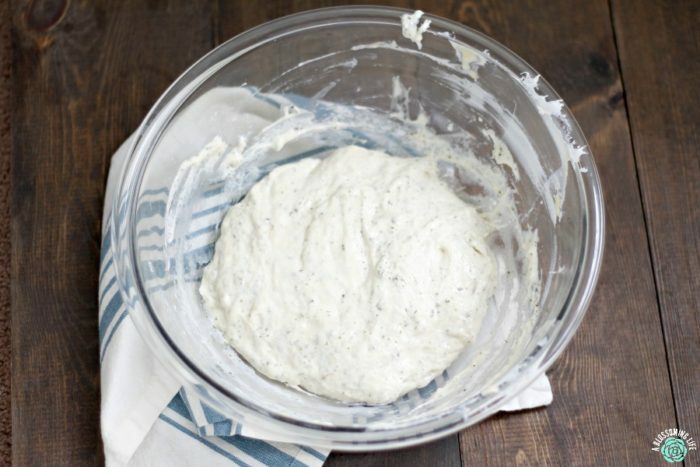 In a large bowl, combine sourdough starter, flour, water, baking soda, salt, and herbs. Mix until just combined, and then for 30 seconds to a minute more. Set aside. Remove skillet from oven, and add butter and oil to skillet and allow to melt. Pour batter into the skillet and let cook for 4 minutes. 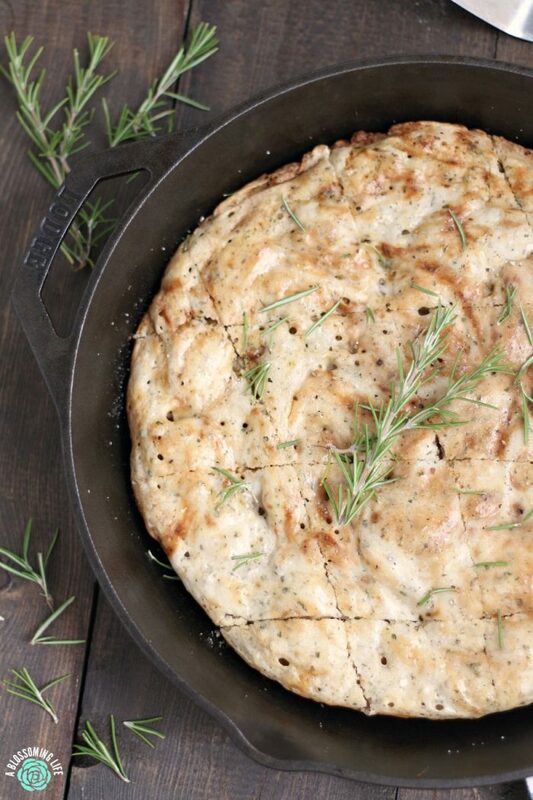 Place skillet into oven and cook for 10-20 minutes, until bread is golden brown. Cut, then garnish with a drizzle of olive oil and rosemary before serving. In a large bowl, combine sourdough starter, flour, and water. Cover with towel and set aside for 6 hours or so. 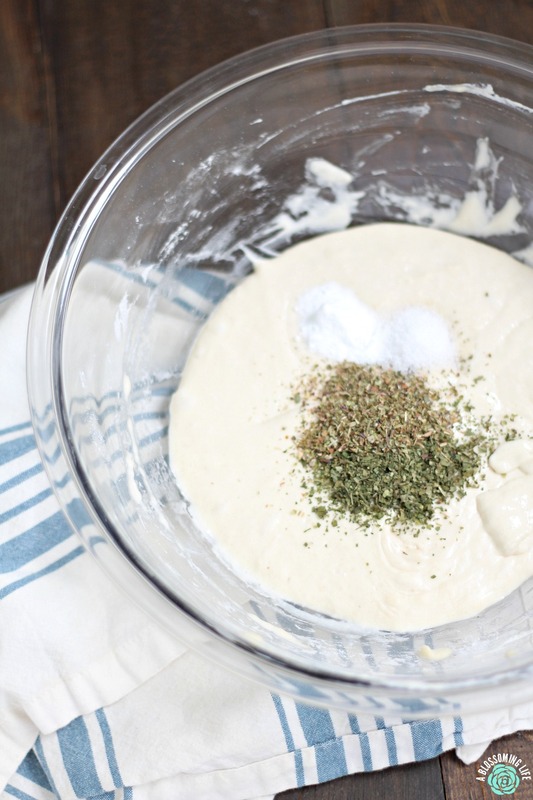 Mix in baking soda, salt, and herbs to the sourdough batter. Mix until just combined, and then for 30 seconds to a minute more. Set aside. Pour batter into skillet and let cook for 4 minutes. Place skillet into oven and cook for 10-20 minutes, until bread is golden brown. Do you love sourdough? It’s probably my favorite bread. Regular bread just tastes bland after you get used to the complex flavors of sourdough. I really enjoyed this narrative. Especially the bug. Haha, thank you. I’m just starting to get into sourdough – gift from a friend moving away, and the skillet seems like such a fun way to bake it. I’ll probably try adding flour for a bigger loaf. Thank you! 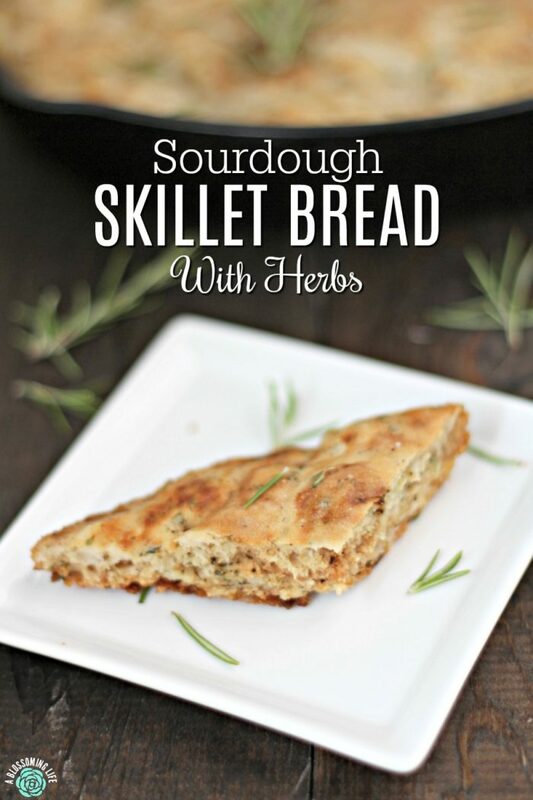 This is such a delicious and simple recipe to enjoy sourdough. Enjoy.